Hey friends...I have been so busy lately with no time to post. 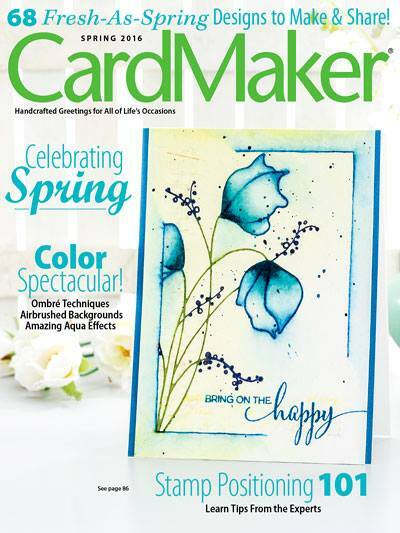 Have you been busy with card making too? I love the Sketch challenge over at Operation Write Home and wanted to play along. Pretty simple card, but such an impact. 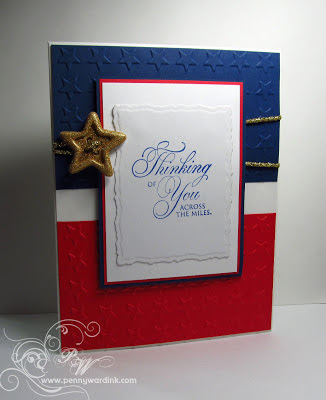 Red and Blue card stock embossed with Star Folder from Darice. Sentiment is Eloquence Transparent Set by Penny Black. Thinking of you in a fabulous array of red, white and blue! Fabulous! Definitely makes an impact! Love the color combination! Very Pretty. Very striking card. I have to say the embossing is fantastic. Great impact for sure! Gorgeous! tfs!! !